Whether you're looking for science project ideas for the science fair or you just want fun science experiments to do with your child to encourage learning at home, "101 Great Science Experiments" is a fun and comprehensive science experiment resource jam-packed with great ideas. The book includes plenty of experiments for parents and children to do together, but for kids who want more independence, it also includes experiments that can be done by children alone. 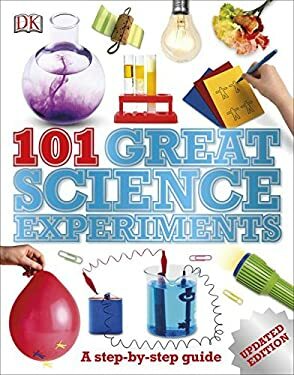 Organized into 11 different science subjects, "101 Great Science Experiments" includes experiments for almost any interest area. Photos and illustrations make each process clear and accessible for children and parents. "101 Great Science Experiments" has been a classic for families looking for science fair and science project ideas since 1993, and this new version has been updated, expanded, and improved for the next generation of young scientists. New (26 available) BRAND NEW. Over 1.5 million happy customers. 100% money-back guarantee. Make your purchase count: support Better World Books' worldwide literacy partners.